Dr. Rajiv Lall is Chairman, IDFC First Bank. He was the Founder MD & CEO of IDFC Bank. Earlier, he was CEO and then Executive Chairman of IDFC Ltd. from 2005. A veteran economist and business leader for the past 35 years, Dr. Lall has been an active part of the finance and policy landscape both in India and internationally. Over his diverse career he has straddled leadership roles both in business and in public policy. His expertise spans international and macro-economics, banking, capital markets, infrastructure finance, private equity/venture capital and social impact investing, with a particular focus on emerging markets including India and China. In his public policy related roles, Dr. Lall has served on numerous committees of the Government of India and the Reserve Bank of India including: Raghuram Rajan Committee on Financial Sector Reforms; RBI Working Group on NBFCs; RBI Committee on Household Finance; High Powered Expert Committee for Urban Infrastructure; High Level Committee on Financing Infrastructure; and Expert Committee on Modernisation of Indian Railways. He has also served as India’s representative to the G-20 Working Group on Infrastructure. He is Chairman of IDFC Institute, a “think- do” tank focusing on political economy issues related to India. On the business front, he was President of the Bombay Chamber of Commerce & Industry. He is a member of various CII Committees; the City of London’s Advisory Council for India; the Board of the Asia Business Leaders Advisory Council, Canada; and the Board of the US-India Business Council (USIBC). Outside of business fora, Dr. Lall is Chairman of Social Finance India; on the Advisory Board of Columbia University, Global Centers, South Asia; and a member of the Founders Circle, Brookings, India. He is also Founder Chairman of Lok Foundation and a Board Member of the Shakti Sustainable Energy Foundation. 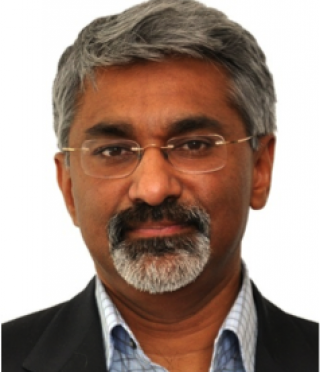 Prior to joining IDFC, Dr. Lall was variously, a Partner with Warburg Pincus, New York; Head of Asian Economics Research with Morgan Stanley, Hong Kong; and economist at the World Bank, Washington D.C., and Asian Development Bank, Manila; faculty member at the Department of Economics, Florida Atlantic University. He is an active public speaker and columnist for various international daily news. He is author of numerous publications and articles. Dr. Lall earned his BA in Politics, Philosophy and Economics from Oxford University and holds a Ph.D. in Economics and from Columbia University.